Today’s enterprises need to, want to, and most importantly, are moving beyond just providing data. Are moving beyond “fingers crossed” their business teams accurately interpret that data to make critical business decisions. Are moving beyond a complicated, slow, resource intensive data infrastructure. We’ve entered the evolution of a standard BI (Business Intelligence) environment to a modern view of analytics. Businesses are changing how data is leveraged and maximized. 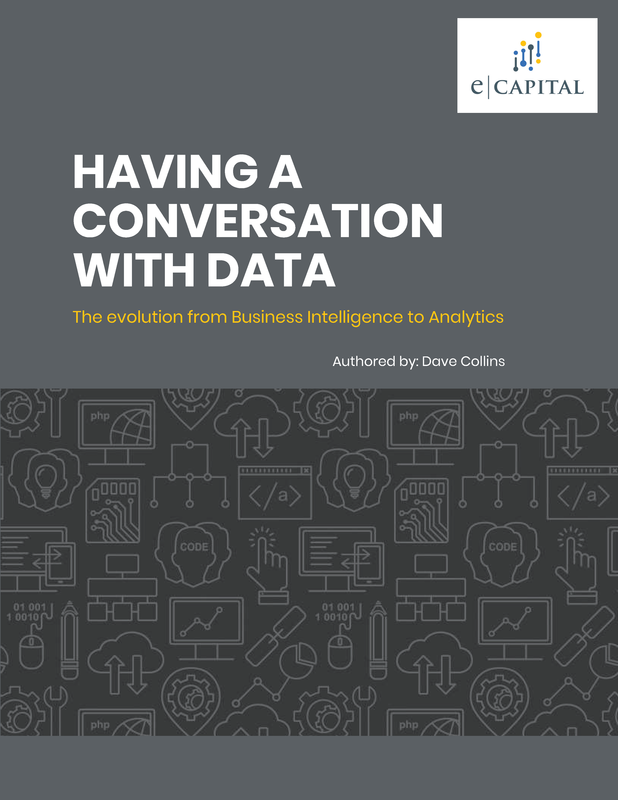 Having a conversation with data is the new, mature analytics approach. PRIVACY | DISCLAIMER © 2018 eCapital Advisors, LLC. All rights reserved.